Hillary Clinton: How can we make prescriptions more affordable? How Can We Make Prescription Drugs More Affordable? 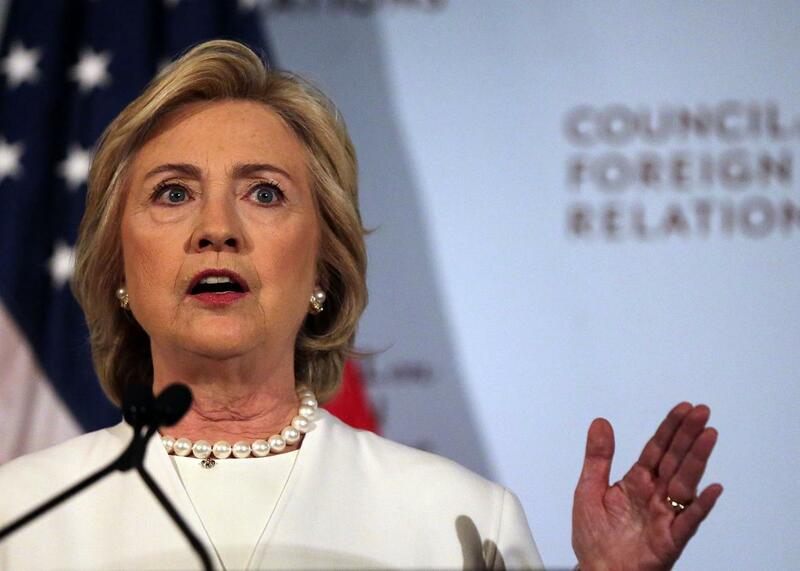 Hillary Clinton speaks at the Council on Foreign Relations on Nov. 19, 2015, in New York City. More than half of Americans—and 9 out of 10 seniors—take prescription drugs every month, and many of the people I’ve met are struggling to afford their medications. Prescription drug prices have shot up 12 percent in the last year alone, but wages have remained stagnant. Meanwhile, the largest pharmaceutical companies are raking in $80 billion to $90 billion in profits each year. We have to bring drug costs down and reward pharmaceutical companies for real innovation that saves lives—not for jacking up prices on the same treatments that have been around for decades. For one thing, we need to put a limit on what Americans are paying out-of-pocket for their medications. My plan would require health insurance companies to cap out-of-pocket spending at $250 for covered prescriptions, which could save people with serious or chronic illnesses hundreds or even thousands of dollars every year. We know this can work because a number of states already do it. And when their medications are cheaper abroad, Americans should be allowed import them from other countries that have strong safety standards like the U.S.
We can also drive down drug prices by increasing competition. To do that, we have to clear out the backlog at the Food and Drug Administration’s Office of Generic Drugs so that they can get more generics into the market. We also have to put a stop to the so-called “pay for delay” arrangements that drug manufacturers use to keep drug competitors off the market. That alone would lower prices and save the government up to $10 billion. In addition to capping costs and encouraging competition, we need to make sure that drug companies use taxpayer dollars for research and development—not advertising. (We’ve all seen the ads on TV—happy people running through fields because one drug or another has made their lives so much better. Meanwhile, a narrator races through all of the negative side effects!) We should encourage and reward research that leads to more breakthroughs and higher-quality drugs instead. By eliminating tax writeoffs for advertising, we’ll save billions of dollars that we can invest in research and development. And we need to stop powerful corporations from gaming the tax code. For example, Pfizer and Allergan just announced that they’re merging to form the world’s largest pharmaceutical company—and Pfizer will shift its corporate residence overseas to escape paying its fair share of taxes. We need to prevent transactions like these that hurt small businesses and leave American taxpayers holding the bag. And then there’s Medicare. With more than 40 million Americans enrolled, Medicare is a huge market for the drug companies—and we should be able to leverage that to negotiate lower drug prices for its members. My plan would also require drug companies to provide higher rebates for prescription drugs to low-income Medicare patients, just like they currently have to do for Medicaid patients. That would save more than $100 billion in Medicare costs every year. Hillary Clinton: Why will Hillary’s role as a grandmother make her a better president; what specific public policies will this affect? Politics of the United States of America: What does “defunding” Planned Parenthood mean? Current events in U.S. politics: Is Obamacare helping or hurting the average U.S. citizen?